At the World Bamboo Congress in Damyang, Korea, I attended the UEDA lecture by Professor Zhu ZhaoHua from China. He explained that in the process of furniture manufacturing, 40% of the raw material ends up as sawdust. In the past, this was considered waste, and was not used. Now, there are several options to make money from turning waste into valuable products. One option is to make particle boards. 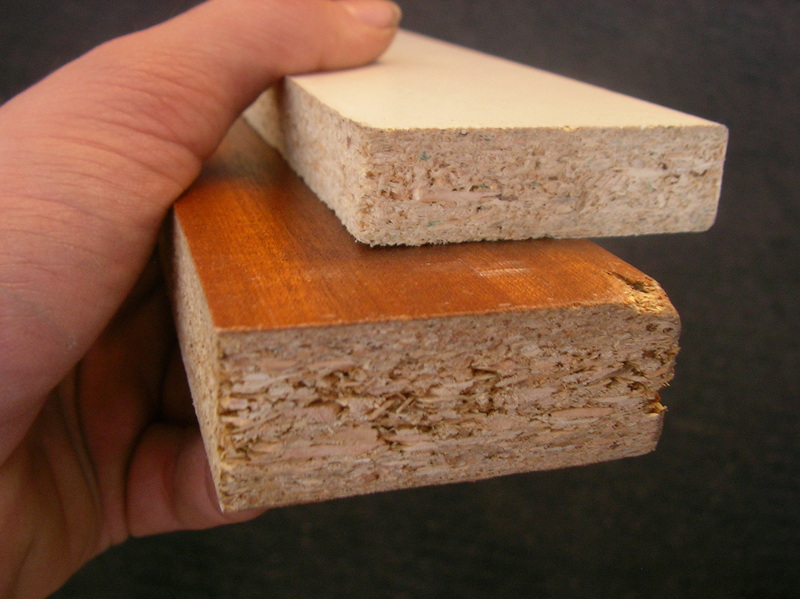 According to Wikipedia, particleboard or chipboard, is an engineered wood product manufactured from wood chips, sawmill shavings, or even sawdust, and a synthetic resin or other suitable binder. 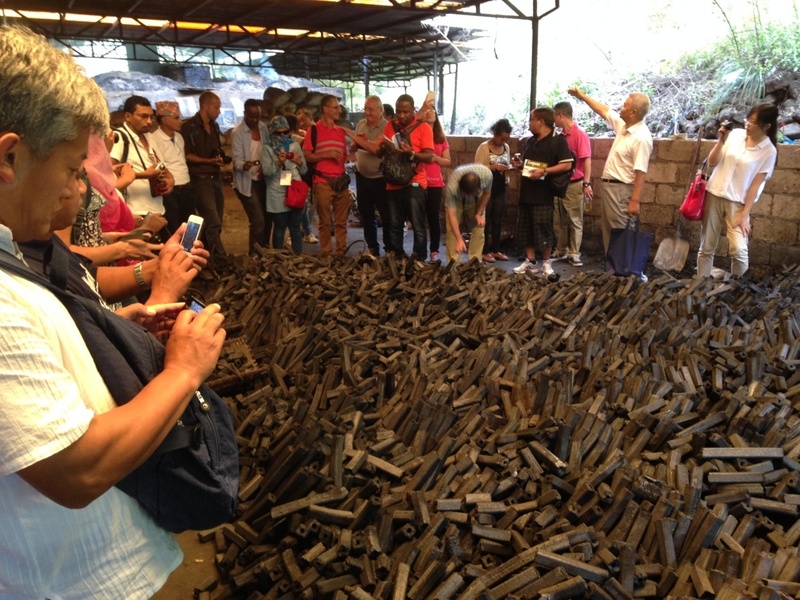 Another possibility is to turn the sawdust into briquettes that can used to make charcoal. The holes in the middle are used to increase the flow off oxygen. The photo below is taken in Zhejiang Province, China during one of the MOFCOM-funded INBAR/ICBR training courses.. 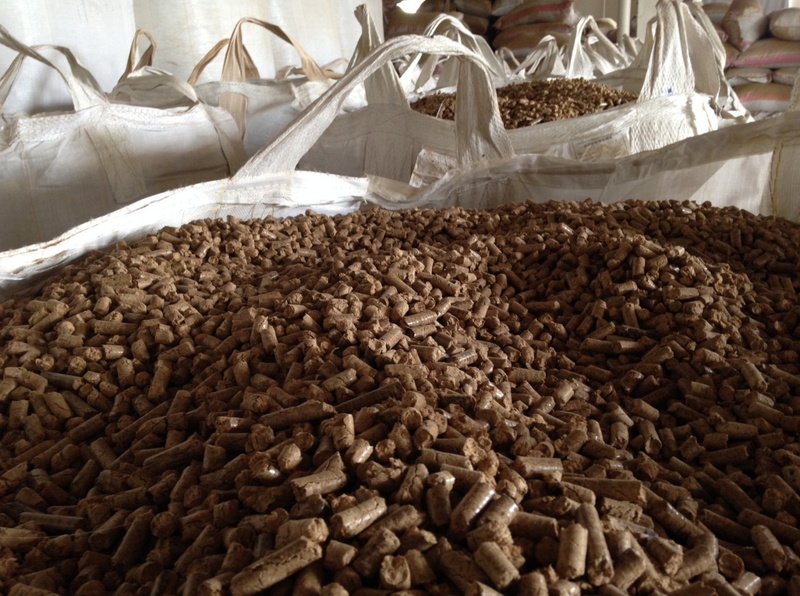 Finally, sawdust can be pressed into pellets, which can be used as bio-fuel. All three options are relatively low-technology, and there is no reason why producers anywhere in the world should miss these opportunities to turn waste into wealth! The water needs of growing bamboo is one of the fundamental questions we need to address. Some bamboos grow in semi-arid areas, but tropical bamboos thrive in high-rainfall environment. Research on bamboo is feeding into a new global initiative to safeguard the vital role that forests play in the provision of safe and reliable freshwater. Bamboo demonstrates important water conservation properties – it has a high water absorption capacity, a canopy that reduces evapo-transpiration and conserves soil moisture, and a dense root system that enhances water infiltration. But, its ability to conserve water resources is often overlooked – even by those that benefit most from its application. World Forestry Congress 2015 – an initiative designed to enhance knowledge about forest-water interactions and ensure this evidence informs national and international policies and agreements.